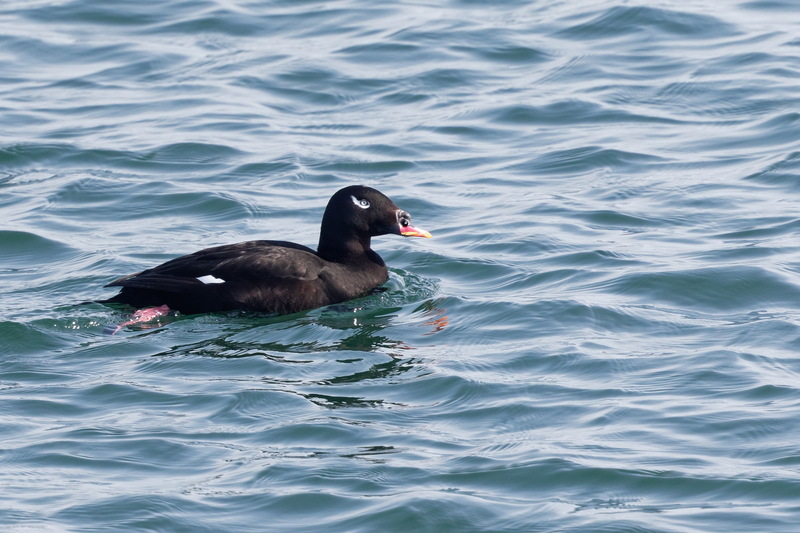 Offshore at Oshamanbe, and several other places, there are rafts of this species in winter and spring. 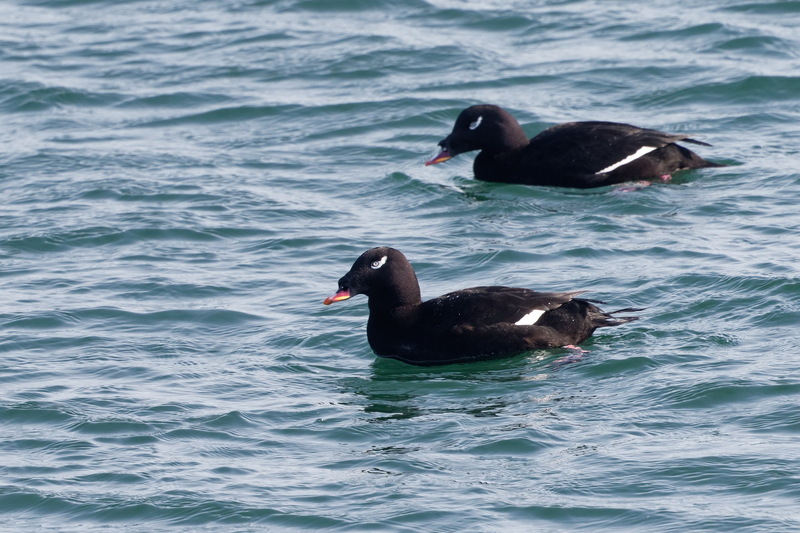 Stenjeger’s Scoter, a split from the White-winged Scoter in America and Velvet Scoter in Europe. 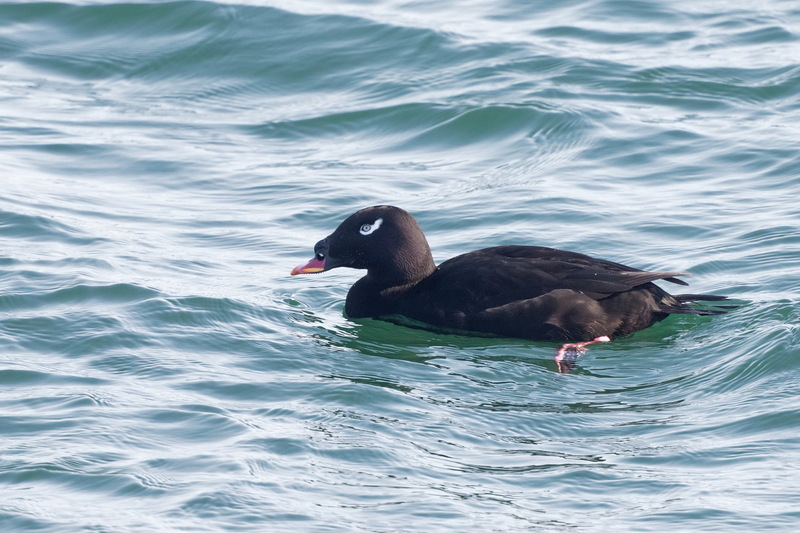 Usually they are well offshore and never approach the ports but there were some of them right by the sea wall in the port at Oshamanbe on Sunday. Whilst these photos are nothing special, they are easily the best I’ve managed of this species. Other stuff around included Black-throated Diver, Falcated Duck, Red-necked and Great-crested Grebes (the latter coming into summer plumage), Glaucous and Glaucous-winged Gulls and the usual common stuff. Except small birds of course. There were also some dolphins (or porpoises) at the edge of the port: must have been a lot of fish around. Serious odd-looking birds! And good shots too. Yes the bill is weird…………. I had not been aware of this split. I have seen two of the three species, and I doubt that I will see the third. More info on the split here. I’ve only seen one so far………….